As researchers, we all hit brick walls when doing genealogy. In my search, there’s a part of my family that just doesn’t want to be found! It can be very discouraging – and, if you’re like me, you become obsessed with uncovering the hidden family members and all the secrets they possess. My grandmother was born Ada Angel Seguin in 1915 in Rhode Island to George Seguin and Nora Caron. Ada’s father, George, had a well-documented life and his family search was a breeze. But George’s wife Nora Caron is where my research started to unravel. Nora has always been a bit of a mystery for my family. The stories that have been passed down from my aunt say that Nora read tea leaves and had an ‘open-door policy’ in Rhode Island for all that were “lost” or needed a place to stay overnight. What a wonderful individual to have in your family! Unfortunately, Nora and George both passed away before my grandmother, Ada, was 14. So the family stories and information was lost with them – and, thus, my intrepid search to uncover the details of Nora Caron, a palindromic name, and her family. I began my search with the Rhode Island State Archives in Providence, where I uncovered Nora’s death certificate. It listed Alphonse Caron and Mathilda Gauthier as her parents, both born in Canada. Well, Alphonse and Mathilda, along with Caron and Gauthier, are among the most common names in Quebec! I proceeded to find Alphonse’s death certificate in Rhode Island, where it listed his parents as Joseph Caron and Zoe Perron, both born in Canada. Through my preliminary research, I found that Alphonse, Mathilda, and Joseph were very common first names. Zoe is a unique name, so I was determined to find trace of her in vital records. I searched for Zoe (Perron) Caron on census reports, as I knew my ancestors were in the United States around 1880. I got a hit off an 1870 census report for Baltic, Connecticut, where Zoe and her five children were living. Where’s her husband, Joseph? There were no other census reports listing Zoe or her children prior to 1870. How does a family just appear in Connecticut in 1870 and there’s no record of them before that date? I’m able to trace the Caron family from 1870 to 2001, when my grandmother passed away. But 1870 is my brick wall. I was starting to think that Nora and her parents were playing a trick on me. I stopped searching for the Carons and proceeded to finish the rest of my ancestry. Now, it’s four years later and the Caron surname still haunts me. Sometimes, I refer to them as “my circus family” because they just popped up in Connecticut in 1870 with no hint of an origin. Coincidence: my great uncle Maxim Seguin ran away to the circus at age ten. Recently, with the help of a genealogist at NEHGS, we uncovered a link to Mathilda Gauthier’s family and the Caron family growing up in the same neighborhood. So, my search continues through the Gauthiers and their ancestral tree to tear down my brick wall: the Joseph Caron Family. That is very rare to have a brick wall with French-Canadian Ancestry. I uncovered almost 100% of my Quebec Ancestry in less than a few weeks using the Loiselle index, even with common last name is like Allard, Labelle, and Bousqet. Unfortunately, the most common name “Joseph,” and “Caron” doesn’t help. There are so many variations of “Caron” that it’s difficult to follow the family. I won’t give up though! I’m determined to find them and unlock this mystery! Thanks for your comment. I was admittedly was lucky to have ancestors with unusual names, even for French Canadians…like Isaie, Joseph-Labre, Vital, Emilie, Cordelia, Ulric, etc. As a nativeRhode Islander of French Canadian heritage, I was very interested in your story. You mentioned that Joseph and Zoe Caron were both born in Canada. Also, that you found Zoe and children in the 1870 US census but not before. It would seem logical that Joseph and Zoe might have immigrated from Canada to the States between 1860 and 1870. With all your resources at NEHGS, I would check the Canadian census for 1861 and the Drouin records for a marriage date for the couple and baptismal records of the children, since you have the children’s names and ages listed on the 1870 US census. Good luck! I’m so much enjoying reading these comments from others who come from Pawtucket and Central Falls, RI. I am from Pawtucket and both my maternal and paternal grandparents lived in Central Falls after leaving Canada. Thank you for your comment! I have searched high and low in the Drouin records, but I’ve had no success…yet. I’m trying alternate spellings now to see if something pops up! Thank you for your comment! Our family believes that the palindromic names is definitely a clue. My grandmother’s name was Ada, also palindromic. Unfortunately, it hasn’t helped in the search. I don’t know anything about Joseph, as it never appeared with the family in United States. But, I haven’t given up my search! Do you think they were *literally* a circus family? Check out this 1869 ad for the Zanfretta and Caron Troupe at the Bowery Theatre. It lists both an Alphonse and a Joseph Caron. Great find. I hope it’s them, that would be unexpected. How interesting! I don’t believe this is my Joseph and Alphonse though. I wish! It would help me a lot. 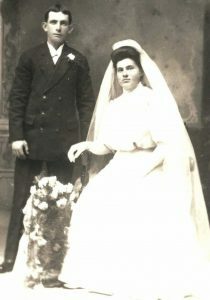 Joseph Germain Caron (b 1840 in Toulouse d 1883 in NY) married Angelique Zanfretta. Two of their sons were Alphonse and Joseph. I am not aware of any Canadian connection for this couple. They were in NY in 1870 and 1880. The whole family performed in various circuses and later vaudeville. Sarah, we would love to hear if you have searched Canadian records for this family. When I researched my husband’s Phaneuf family in Central Falls, Rhode Island, it seemed like half of Rhode Island were French Canadians (mostly Quebec and Montreal that I saw) who suddenly moved there in the mid-1800s. I just purchased a subscript to a Quebec Genealogy website and my plans for this weekend are to search, search and search. Thanks for your comment! Great story Sarah – I enjoyed hearing about your research into Nora and her ancestry. I think I see a brick wall about to crumble! – Keep us posted! Thanks Jeff! I hope it crumbles soon! I wonder if your ancestors may have gone back to Canada for the time that they seem to have disappeared from the US. That happened with my French-Canadian ancestors. My father’s mother’s parents, Pierre Michaud and Rosalie Dube, were both born in Kamouraska, Quebec. 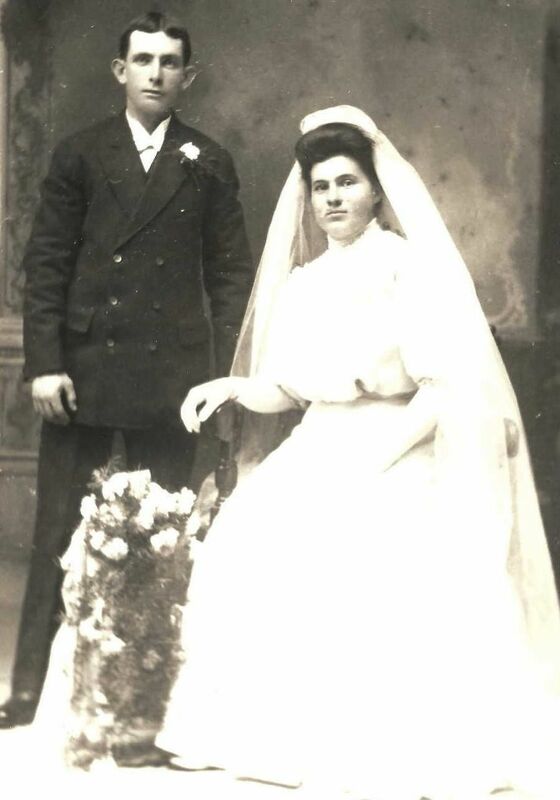 They moved to Nashua, NH where they married in 1888, but after two of their children died in the US, they moved back to Mont Carmel, Quebec, where my grandmother was born. By 1904, they had moved again with their family to the United States. They stayed in Rhode Island for the rest of their lives. On the other hand, my father’s father’s parents, Adelard Beaudoin and Amanda Theberge, moved to the US where they lived for a few years. After his wife died, Adelard Beaudoin moved back to St. Damien, Canada where he stayed. I’m always interested to know about other French-Canadian families. Thank you for your story! I’ll have to do some more intense searching back-and-forth between the U.S. and Canada to see if they traveled back. I am curious about whether the Carons and other mentioned in the article and in the comments lived in Central Falls. When I was growing up in the 1950s, French was often heard on the street in Central Falls and downtown Pawtucket. In my family an aunt never spoke English to her mother although that mother spoke English to my parents. Yes! The Caron family and the Gauthier family went from Baltic, Connecticut to Pawtucket, Rhode Island. There were tons of them and they lived close to each other. Small world! Thank you for your comment! Hi, Don’t know if mill records for those periods in Conn. and RI still exist, but if so, you might find some leads there. People had to earn a living, these families may have come to the States, worked for a time, perhaps there was an economic downturn, and they went back to Canada in order to survive. Church records are helpful sometimes — some people would have had deaths recorded because of funeral mass, etc., but death certificates could be lost due to misspellings. (Yankee ears, French tongues) Oh, mill records sometimes wind up in local historical societies, I believe many of the Amoskeag Mill records are now with the Manchester, NH Historical Society. Best of luck, and do keep us in the loop! PS — If you think the children were of school age, both parochial and public school records might help. It’s the finding of the records that could drive one mad!!! Unfortunately, the family could not read or write – so school records haven’t helped. I did visit the Baltic, CT Historical Society to look through records of the Baltic Sprague Mill in Connecticut which burned down in 1886 (I think) – the Sprague family is quite well-known in Rhode Island too, but still no Mill records helped. I’m definitely trying the misspellings and alternate pronunciations for the surname! One of my brick walls also involves French Canada. My third great grandfather George Farrington was born in Massachusetts in about 1805, according to census records, but I have been unable to determine who his parents were, nor have I located a birth record. By 1833 (the year his son was born) he had moved to French Canada where he married a woman named Isabel. I did locate a document he signed in Stanbridge, Quebec, thanks to Vita Brevis! This was a petition to the royal governor to allow Baptists to record births, marriages, and deaths, so assuming he was of the Baptist denomination, this dashed my hopes of finding a marriage record and learning Isabel’s maiden name. They had relocated to Porter County, Indiana, near Valparaiso, by 1838. Truly frustrating! I could not find the wife of James Miller who was born in 1835 or so. I found Sarah Doby, and Sarah Mapey/Mapy, but had no idea if they were the same person or two different wives. Then I zoomed in as tight as possible while studying a census report and it occurred to me her name might not be Mapey, but Massey. Bingo! When I started looking for Sarah Massey, and reading the actual documents, my brick wall crumbled. Sarah White first married Mr. Doby, Mr. Doby died and then she married James Miller. Then Mr. Miller died, and she married Mr. Massey. She outlived him too and appears on the census as head of household before she dies. In those censuses where the name has been mangled, I’ve sometimes been successful by searching for only the first names in the immediate family, especially where there are children. That can uncover not only mangled names, but also remarriages where the mom’s name changes. And speaking of “first names” Nora is a nickname for Eleanor and other names I can’t remember. Even though Nora was her proper name, someone recording her information may have assumed it was a nickname and simply wrote Eleanor without asking. Thank you for your comment! That’s amazing! How ironic! I went to the small Historical Society in Baltic last Spring, but had no luck there. We looked through a lot of Caron stones in local cemeteries! I heard there was a house of “Caron’s” on Main Street where a few families lived in the 1870-1890’s – have you heard of that house? I’ll look into the Green Tolland, CT website – thanks for the tip! What a challenge. I think I found the information you are looking for, but my reply was too long for posting here with my browser, so I posted to your query on Ancestry’s Message Boards. The important clue was Alphonse’s birthplace listed in his obituary, but since he was not baptized there, searching in the neighboring parishes for Alphonse. Interested in seeing your follow-up.